Solid surface is only limited by one’s imagination, and if you have imagined it, we want to build it. Choosing Corian® solid surface to create your vision means you’ll benefit from the flexibility of 3D thermoforming, allowing limitless size and shape of product whilst being seamlessly constructed, as well as hundreds of colour options being available across a range of material suppliers. Your product designs can also be enhanced through detailing and finishing possibilities, again which are limitless thanks to solid surface’s unique characteristics. 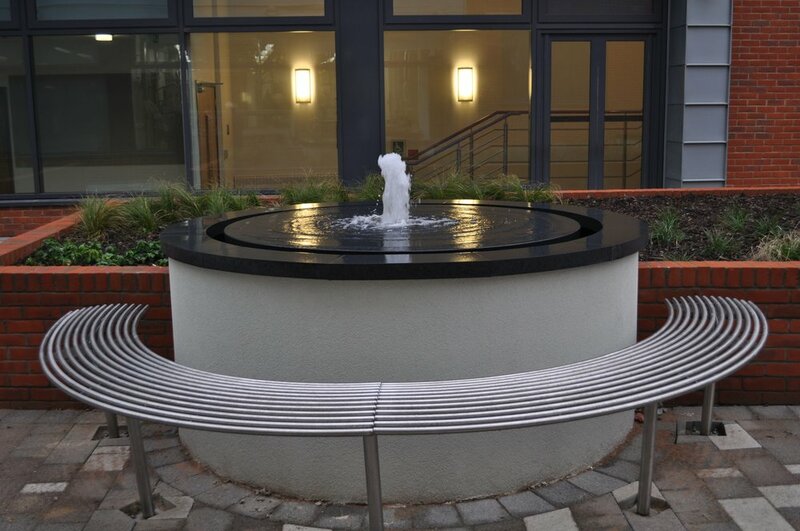 With over 20 years experience in solid surface fabricating, our team of expert engineers will work with your designers to deliver on your project specification, with the sole focus of creating a seamless, visually impactful product that will stand the test of time. We love to collaborate with designers who share our love of inspirational and sustainable interiors. Browse our case studies to see how we have worked with interior designers and architects to create stunning pieces of interior architecture to enhance a space; be that a commercial office with a bespoke reception desk, staircase, interior cladding or a vanity wash trough for their washroom, or in residential builds, kitchen worktops, wash basins and wet rooms. Be inspired, and bring your vision to life in solid surface.